Honey Roasted Brussels Sprouts – Damn, I Can Make That! ← Stuff yo face, I mean veggies. Before you roll your eyes and gag on the words “brussels sprouts” you need to keep reading. These little balls of bitterness are actually really sweet and tasty when roasted with some honey. Trust me, I’ve converted two non-brussels sprout eaters into sprout lovers with this combo. It’s easy to whip up for a last minute dinner date or just a night when you really don’t want any effort involved. The total prep and cook time is 15 minutes. It doesn’t get much quicker than that people. Preheat the oven to 450 degrees. Cut the bottoms off of the sprouts and slice them in half. Toss them together with the olive oil, honey, and cinnamon until fully coated. Lay them flat side down on a baking pan and sprinkle with salt. Bake them for about 10 minutes or until browned. 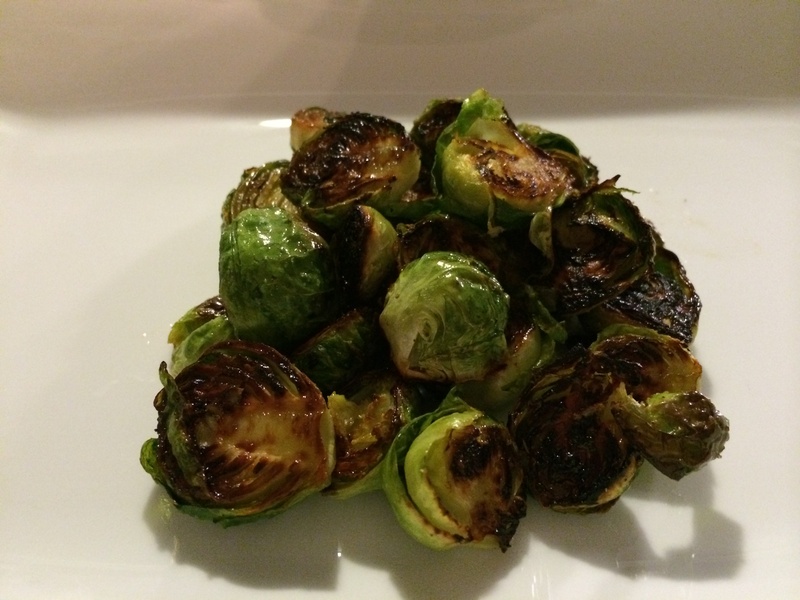 This entry was posted in Sidekicks and tagged brussels sprouts, cinnamon, honey, olive oil. Bookmark the permalink. Thanks for sending all the great recipes, this one being one of my favorites. Thank you!! So glad you like them.